We enjoyed presenting our project plan to a group of Mayo farmers visiting Kerry as part of a three day study tour funded by the HeritageCouncil. 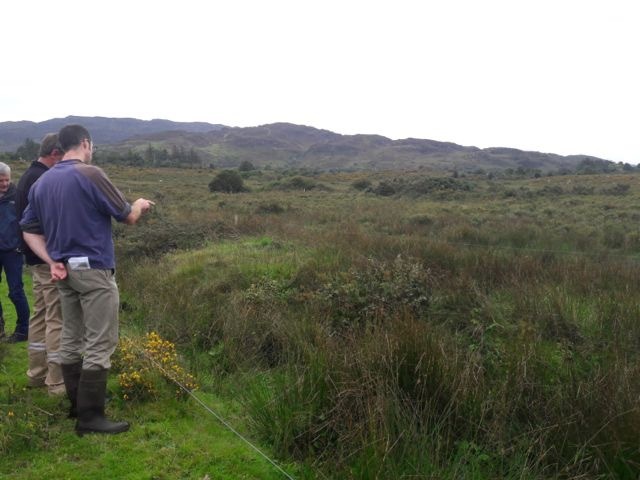 Thanks to the team from KerryLIFE for demonstrating the great progress and work they’ve done in the Caragh catchment. 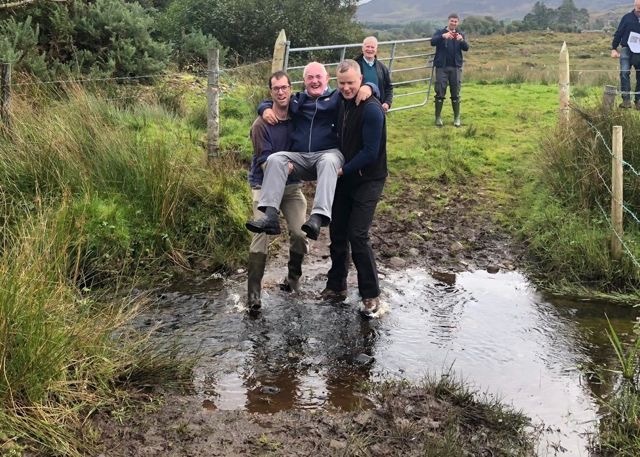 The group of over 20 attendees visited John Griffin’s farm in Glencar where various measures aimed at improving conditions for freshwater pearl mussel were demonstrated including; a nose pump water supply for cattle, fencing, and management of livestock at watercourse crossings. 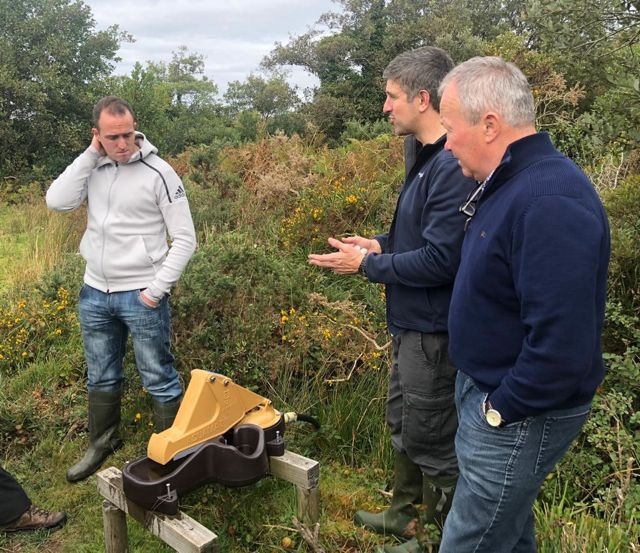 Some of the farmers visiting were from the Bundorragha catchment, one of our top eight pearl mussel catchments, and we look forward to working with them on our project. Delighted that two landowners from another top eight catchment, Ownagappul, Ardgroom, County Cork, were also able to attend. Apart from some issues crossing watercourses, the days study tour was a great success !